Complimentary admission of one member of staff representing partner at the Forum. One complimentary guest ticket to MINEX RUSSIA Gala dinner. 50% delegate discount for additional member(s) of staff representing partner at the forum (excluding Gala Dinner). Opportunity for distribution of the partner’s printed materials at MINEX media partners’ exhibition area. Partner’s advertising page in the Forum’s catalogue – in exchange for the Forum’s advertisement placement in the partner’s printed (i.e. not electronic format) media. 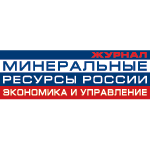 Partner’s logo and short company description on MINEX Russia 2016 website. 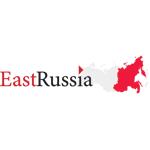 Place forum’s promotional web banner on partner’s website (from the agreement date until 6 October 2016). Partner will be assigned an individual space or table for the distribution of the printed materials on at the exhibition venue on 5 and 6 October 2016.